The Knowledge Network entertains, educates, and challenges us — and the charity’s donors are quick to show their thanks! 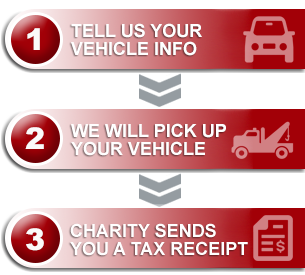 With a recent RV donation in Langley drawing a donation of over $3000.00, we are excited to share the charity’s unique perspective on our vehicle donation program. Funded by an annual operating grant from the provincial government and donations from loyal viewers, Knowledge Network offers commercial-free creative documentaries, arts and culture, drama and children’s programs from Canada and around the world. Through the commissioning of broadcast and digital interactive content, it also plays a vital role in supporting the independent production community in British Columbia. You can read more about their programming and engaging ideas via their blog. Prefer reading in magazine format? Visit K: Magazine and subscribe! The magazine is where you’ll find our reprinted story, and so much more! We are excited to reprint the following with permission from our donor, Peter, and the Knowledge Network. 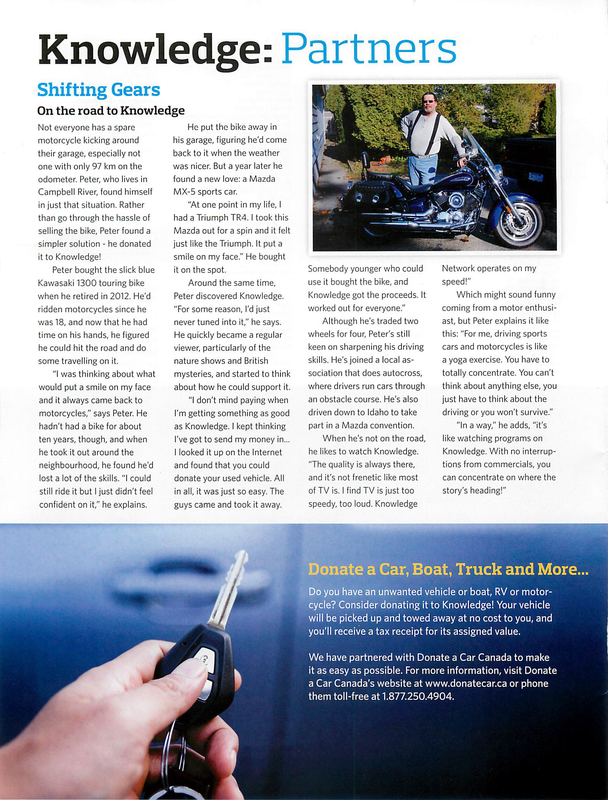 Read on to learn more about how a change in driving preference resulted in new freedom for Peter, and a gift of over $4000.00 to his charity of choice!